Ever feel stretched so thin you can’t POSSIBLY imagine having time leftover for marketing your biz to new prospective clients? I deeply understand the struggle that you guys go through as entrepreneurs feeling like you have no extra time for marketing. I run my business with part-time hours, and the rest of the time I am a full-time mommy to a toddler and a newborn. So I'm very busy, with a lot going on day to day whether during work hours or in my “free” time. HA! What mom has ever heard of free time? I should probably do a day in the life post at some point, so that you guys can see how crazy my life is trying to fit my business in with all my other commitments. But I love it and I wouldn’t have it any other way. Just like me, I know that you are juggling many different things every day. 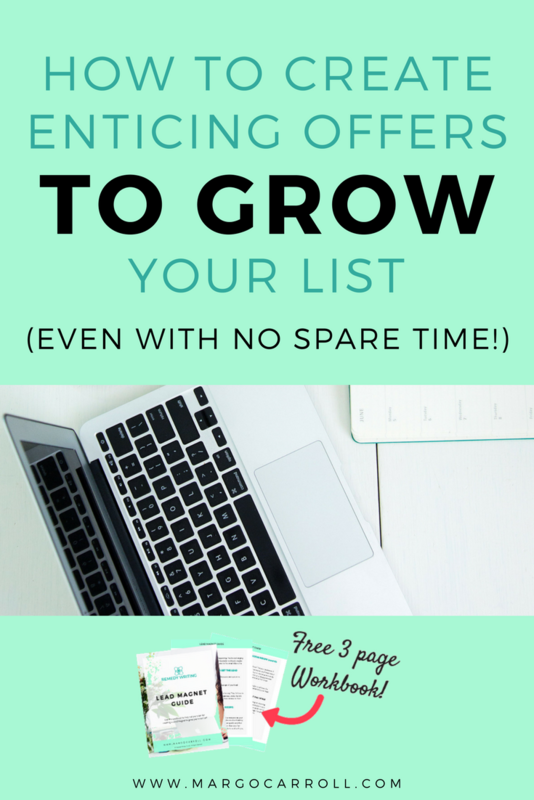 You know you need to market yourself and get yourself out there so that you can get more clients and more leads on your list, right? Of course you know that! But you just don't feel like you have the time for things like creating a lead magnet so that you can start getting email subscribers to boost the numbers in your list. Ready for a huge lightbulb moment, friend? YES you do have time to create it, and in fact you probably already have one ready to go! So here's the thing, guys. My biggest secret for creating any piece of valuable content for your readers is that you don't ever want to start it from scratch. That's the worst mistake you could possibly make. Instead, you want to start each new offer based off of tools that your audience has already told you that they found valuable. Here’s an example: Let's say you're a health coach specializing in diabetes and weight loss. You sent out an informative email to all of your clients about a new service you're offering, going into detail about the science behind it and what types of conditions it can help treat. Then you start getting responses. A good number of your readers responded saying, "Wow, this sounds really interesting," or "Thanks for teaching me about this, I had no idea it existed." When you get good feedback like this, you don’t just archive it as a friendly email, you need to take note of how helpful it was so you can repurpose it as other content for your clients. Don't think that you need to start from scratch when you're creating a lead magnet because you can use the copy that you've already written for that social media post, email blast, etc. as the jumping off point to create your valuable offer. That might be your free offer in the form of a lead magnet, or even a new service or a new program that you launch. You don't want to start from zero when creating a new offer, both because it’s way too time-consuming but also because it’s not validated. Validation is an incredibly important - and often overlooked - component of any marketing plan. Content you’ve already gotten a good response from is pre-validated, meaning you already know that your target audience values it! You want to consider the feedback of your audience as market research for the type of product that you should create. So if you ended up being able to take that facebook post and pull apart the three key points from it and turn that into a three day email sequence that you call an ecourse, then boom, you've just created a lead magnet and it didn't take you nearly as much time as you thought it would. All you had to do was take the skeleton of what people already told you is useful and fill it out with some more information. So don't make the big mistake that many people make and say, “oh, I just don't have the time to create more collateral to market my business,” because you don't need to reinvent the wheel. Save time - and produce things that your audience is actually going to want to opt in for - by creating lead magnets and paid offerings that start from the content that you've already created. This is my best tip for repurposing your content, saving time, and gaining more clients in less time. Well if you've read this far, you must really care about growing your lead list to get more online bookings for your business! I’ve created a special 3-part workbook, the Lead Magnet Guide, to help walk you through the exact method you got all jazzed to implement while reading this blog post. 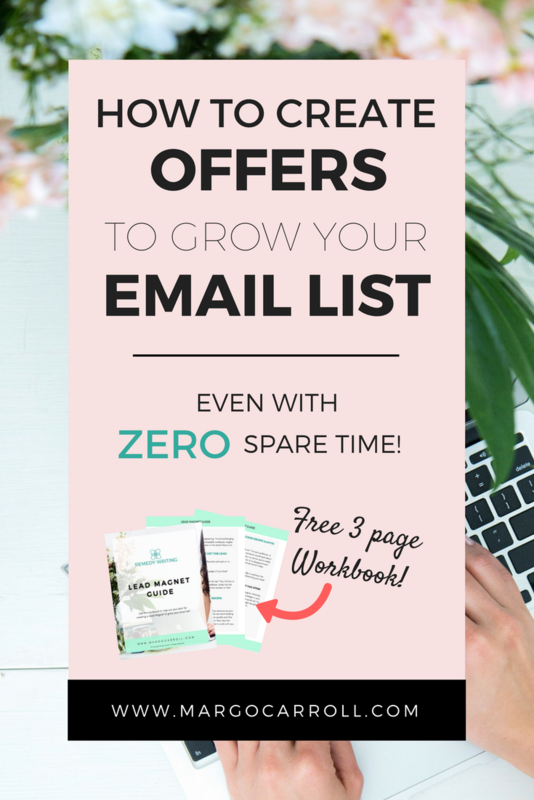 You just learned about how a Lead Magnet can help you grow your list of leads, now it’s time to execute + succeed by downloading the Lead Magnet Workbook and joining us in the free copywriting course for wellness pros, Wellness Websites 101. You could keep reading slowly through all of my blog posts, or you could kick things up a notch and start now by opting in below. 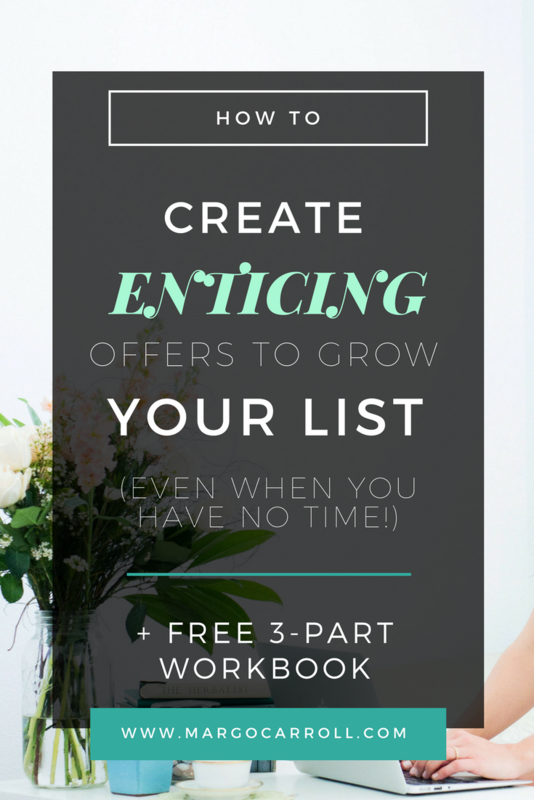 Girl, the 3-page workbook and course are F-R-E-E, so what are you waiting for?? Click "join" with your email and name below and get the workbook + first e-course lesson immediately to your inbox!